The Tennessee Long Term Care Insurance Partnership Program is a special program. It is a partnership between Tennessee and private long term care insurance companies. A Long Term Care Insurance Tennessee Partnership policy must meet the same standards as a policy not sold under the program. A partnership policy must also meet certain federal and state requirements, and be certified as a “long-term care partnership policy” by the Tennessee Department of Commerce & Insurance. Partnership policies provide an extra level of protection, when compared to a regular long-term care insurance policy. In particular, such policies permit individuals to protect assets from spend-down requirements under Tennessee’s Medicaid program (TennCare) if help under this program is ever needed. 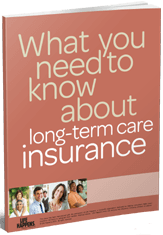 There are several long term care insurance companies offering LTC insurance in Tennessee. The Long Term Care Insurance Tennessee Partnership requires these companies offer specific policy benefits. This rule can help you choose the level of benefits to included in your long term care insurance policy. Long term care insurance policies sold under the Long Term Care Insurance Tennessee Partnership Program are known as “Partnership Policies”. How Many People Need Long Term Care? To buy long term care insurance, individuals must be enjoying good health. And this health qualification criteria makes it important to plan ahead. In general term, this means buying long term care insurance when you’re in your 50’s and enjoying good health. Tennesseans need to know long term care costs when planning for future long term care needs. Tennessee’s current cost of care and future cost projections indicate how much long term care protection you want in your retirement plan. In 2018, the Tennessee median cost for a private room in a nursing home was $82,125 per year. By 2038, this number is projected to be $148,327 per year. Requiring a few years of long term care services could wipe out the life savings of many families. These numbers are from the Genworth Financial 2018 Cost of Care Survey. Genworth Financial is a Fortune 500 company that helped pioneer the long term care insurance industry over 40 years ago. Their Cost of Care Survey is the largest and most current study of its type. It includes long term care costs of more than 15,000 long term care providers nationwide. Let’s look at the situation where someone buys a Long Term Care Partnership policy in another State and then later moves to Tennessee. Reciprocity means they will not lose the special asset protection when they move to Tennessee. Tennessee would also recognize accumulated asset protection for Medicaid qualification, if the person were already receiving long term care benefits from their Long Term Care Partnership policy before relocating. Following is a source for more information on Long Term Care Partnership programs in Tennessee and other states. Long Term Care Insurance Tennessee Partnership policies cost about the same as other LTC insurance policies. But at some ages, there is mandatory inflation protection. This feature of Long Term Care Insurance Tennessee Partnership policies can limit your options when selecting policy benefits. So consumers should compare Tennessee LTC Partnership policies with non-Partnership policies. To best understand the differences, we recommend working with an agent specializing in Long Term Care Insurance. Request Tennessee Long Term Care Insurance Quotes! Price comparisons customized for your specific needs from respected companies like Genworth Financial, Mutual of Omaha, Transamerica, LifeSecure and others. We also provide detailed comparisons to the AARP LTC insurance offering. Benefit comparisons of each insurance company’s policy. This comparison examines both the similarities and differences of each long term care plan. Financial stability reviews of each long term care insurance provider’s financial ratings, asset base and claims paying experience.